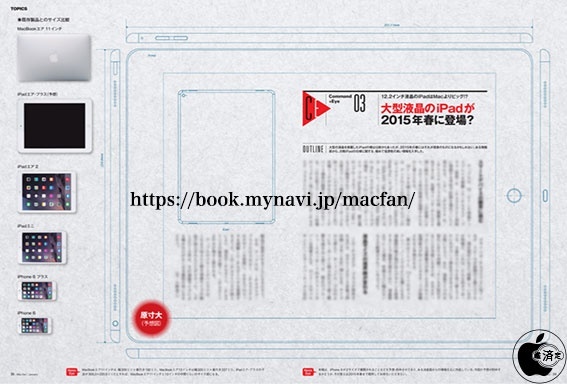 Japanese magazine “Mac Fan January 2015” which is going to be published in 28th Nov 2014 leaks a full-scale blue print of 12.2 inch LCD tablet iPad Air Plus. 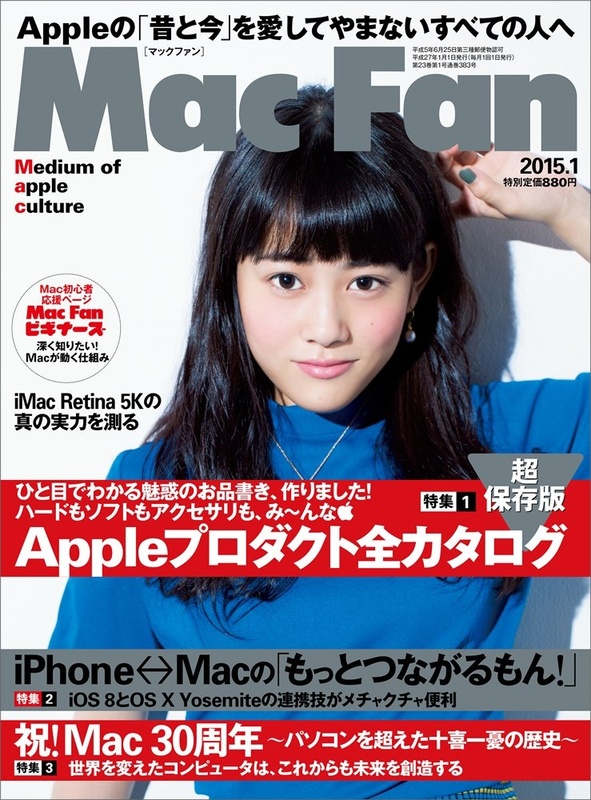 According to Mac Fan's report, iPad Air Plus will be 305.31 x 220.8 x 7mm in size,and be powered with A9 processor, and be shipped between April to June 2015. And, iPad Air Plus will have four built in speakers on each edge of case, in order to play stereo sound, even if iPad rotated. Mac Fan tells about iPad mini 4 also. They told that this new small iPad will be powered with A8X processor and be same design with iPad Air 2. Pad mini and iPad mini 3 will be removed from Apple’s line-up. This resembles the content that Macotakara conveyed before.